Thanks for the explanation. Yes, both of the other dogs do have their CH. The dog that was dismissed behaved beautifully on Friday, but refused to show his bite on Saturday. I was attending the show with my mother-in-law who did not feel well so we left early and did not stay for pictures. I told myself that we would not take pictures at every show, but I really wanted a picture of his first BoB. I didn't follow up on 612's research into the actual show, but if he's correct, then the pt count is right as well. We had a recent episode where the major for females was broken and our handler pulled Rory because he only needs a major. It appeared xover pts were done, but my friend said he should have stayed in just in case a non-CH pulled out the win..odds were long, but lo and behold, that's just what happened. Would have been that final major if he stayed in. Pts are confusing. I have been at this for 2+ years and still find myself wondering what just happened. Even InfoDog (the official pt scoring system for AKC) gets it wrong when dogs are absent or excused. The results are posted from the show that you and Chance won BOB. I was happily surprised the chow you won against was a Grand Champion that has done very well since he was young. It does happen but not that common. It says a lot about Chance and you as the handler. It's to bad about not getting a winning photo but I'm guessing there will be many more chances. We only get Brutus's picture taken if we feel it's been a special day like 1st point, chow specialty and the last photo winning BOB after being out of the ring for 18 months. But it can be tricky trying to get the photo at a show because they don't teach you that at handling class. I found out right before the judge goes to lunch or when he comes back is the best time if you show in the morning. As far as points, make sure you see the judging card before you leave the ring to make sure it's right. Mistakes do happen and to get it corrected is not easy. You can see Chance points progression online at AKC but have to make up a username and password. I'm still floating on a cloud. Like you said, it is even more exciting when you don't expect it. I really like Dan's dog. He is so laid back... and of course BEAUTIFUL! Then we will take a week off... and I will decide from there. I don't know if we can swing it, but I would love to go to Greeley, CO this fall. Points really are confusing. I am sure I will need help keeping it straight. If you can go to Greeley, i would. I lived out there for a summer back in my teens and loved it. Absolutely beautiful part of the country. Actually lived in Loveland, but my father was a flight instructor so we got to fly just about anywhere he wanted. Congrats again on the BOB. Chance does seem to have that really special look about him, but even so those are hard to come by. Getting pts as a pup seems easier to me, as Rory racked them up early and then seemed to run up against the wall. It's all about numbers and judges that like Chances particular look, so having a mentor/experienced show person is really helpful. I forgot to mention that the judge at your first show was someone pretty special. She and her husband are owners of Imagine Chows in California. They have bred and handled some of the top chows in the country for over 30 years. Chance like a lot of American bred show chows do have their stock as ancestors. Both his parents do and if you look far enough back you will see. I met her when she came to Minnesota for our specialty 2 years ago. She was co-handling a top 5 chow that they breed and was part owner of. His name was Chance too and she was very nice to us. It was a honor to meet her and she said she liked our Brutus who was at the time a year old. If you want, ask Michael about her because it really a small chow world. I don't know many judges but was really surprised to that she was yours. Good luck this weekend. Congratulations on your first win! Sounds like you did just the right thing when the speaker scared him. Chance is a beautiful puppy, I'm sure you are going to do great with him! We had a blast again this weekend! While Chance did not win BoB, he did get Reserve Winner. But.... more importantly, he was much more confident and had a great time in the ring. We do need to work on him NOT trying to jump all over other dogs outside the ring. I know it is a puppy thing... but ... well, we don't need other dog owners snarling at us all day. Additional class time and more time out and around other dogs should help. All in all I cannot say just how important classes have been for us. I've turned this thread into more of a long list of issues that pertain to the conformation ring. We have had a see-saw of weekends. I am learning by leaps and bounds, mostly from my multiple mistakes I could just about fill a book with things to NOT do in the ring... that I HAVE done. I have had judges offer great advice and encouragement. One judge even told me that he hopes he gets the privilege of judging Chance in another year or two. I have also thoroughly offended a judge when I was looking away when she was ready to examine Chance. Oh My... I will not make that mistake again. Between handler error and a puppy who still slips into ADHD mode from time to time.... well, it has been interesting. We now have several weeks off from the ring. We will still be going to classes every week, because we have so much to learn together. I have a quick question: If you have ever had to show your dog in hot-humid climates, how did you keep him/her cool? Any suggestions on good cooling pads and fans for the crates? 4 weeks... and we eked out two points. Not great, but most of the mistakes were mine. My goal is to get all his CH points with me handling him. The breeder is still there if I need him, and I will reassess when Chance is a year old. Right now we are still loving what we are doing and Chance has had an enormous amount of socializing. He had a full little league baseball team playing with him at the hotel over the weekend. He was in Heaven! I get what you are saying about your experiences so far. I would of showed along time ago if I knew about it earlier. You learn something every week and I enjoy seeing other chow people each time. You are luckier than I since there are more chows in Texas than in Minnesota that show and breed. As far as fans, Brutus has a cordless one made by Ryobi but Makita make a bigger one now. Both will work nicely but you have to buy the batteries and charger so it's portable. Cooling pads would be nice and I should look into that because I'm sure Brutus would love one on those hot days. We certainly all make mistakes as both Chow owner, and again as their show handlers. I give you props for taking the reigns from the onset. I have only handled Rory when it was absolutely necessary and even then i was completely hesitant. Mind you, he is an experienced show dog with 2 years of experience. It was completely me and my confidence. I am working with my 17 year old daughter to show our female, and she does way better than i ever could. I think i am too concerned with looking silly or worried that everyone will figure out that i don't have a clue what i am doing. Amber won't likely compete for her CH designation, so maybe the pressure is less for handling her. She will likely make a great damn, as her structure is great and she is very sweet. I hesitate to breed her without a CH designation, but so far her testing has been positive (not final though as she is only 1 and 1/2). So...dont worry about mistakes on your end of the lead. Most judges will give you some leeway. Even the pros make mistakes. Hopefully they are judging the dog and not you. That's how its supposed to be. I hesitate because i know i dont stack or pace my dogs the correct way, so i don't show them to their max, but that's me and i understand that issue. I haven't tried it yet, but i was given a cool towel a while back. It seems like a microfiber towel with a velcro band around one end. Supposedly it can be soaked in water and cooled/frozen and then thawed a bit for wrapping on the dog. The microfiber is designed to hold in the water so the dog isnt soaked, but keeps cool. Getting Chance to keep his head up. He seems to be leaning forward, reaching out with his neck. This gives him an elongated look. For the next few weeks I am going to train with his collar up high on his neck. I am hoping to correct the pulling. He is moving into a teenage "bratty" stage. Actually, he is a goofy clown, but thinks he should run the show. I am hoping for extra guidance in class. I fear I have not been as firm with him as I should have been (because he is so darn cute he gets away with things). So, I am going to up the training and put myself into the leader role where it should have been all along. Stacking... I am lucky that he free stack fairly well because I am very sloppy at stacking. I need to really work on this. October and November will be 6 shows... Hopefully we will get enough entries at a few of the shows for another chance at his second major. GREAT FUN! Cindy, points do come slowly. If you look at Rory's progression, he took single points out his first 4 shows as a pup. Somewhere in there everyone decided not to show against him and he was a single entry for a bunch of shows. We really had to network and figure out who and where people would show their Chows. It took a while, but we found a support network that helped to ensure enough entries. Rory took his 1st major over a year ago. Silly us, we thought we were close. Then came broken majors and no-shows. Sadly, a lot of those came from his breeder. I have two dogs from the same breeder and she never wanted to back Rory. My support network came through and last month and we took BOW both days toward the end of August to get Rory finished. It may be different in your territory, but Chows are not the most popular breed in my area. We see Show numbers in the 30's for GSD's and Great Danes. Similar for Dalmations or Rotties. It takes a lot of work with Chows up here just to get the entries to win points. We have competing Chow Clubs who will not show against each other, and guessing which shows to make entries at got very frustrating. Finally seems to be straightened out, but still a sad issue for those trying to learn the ropes. As for Chance, I would recommend controlling the bait a bit more closely. If his head is down, draw him up with his favorite treat. If he is getting goofy, same thing, draw his attention back to you. Rory stacks pretty well on his own unless I am handling him, so you have a leg up there. I watch his handler, and she is forever adjusting the show lead onto the correct position on his neck. She does it will every turn, and again for inspection so he is taut against the lead. I don't have that down, but it seems a good practice. I hope we do not have the same issues. A group of us have shared email addresses and we are trying to coordinate shows so that we can have majors at a few of the upcoming shows. The hard part is that we are usually showing against the same dogs over and over again. We had to travel over 600 miles for this last show! That is not a trip I will make very often. A show the first weekend in October was supposed to be a major, but we already have three dogs backing out. It will be interesting. I will keep the bate ideas in mind. Lately he has not been very food motivated so I am looking into finding a squeaky or something. Thanks for the tips! Congrats on his first major, funny it happened the same day as Brutus's. Great job!! Did you get a photo with the judge? I have told my husband that this will be the last picture until his CH. Of course that will change if he ever places in Group. 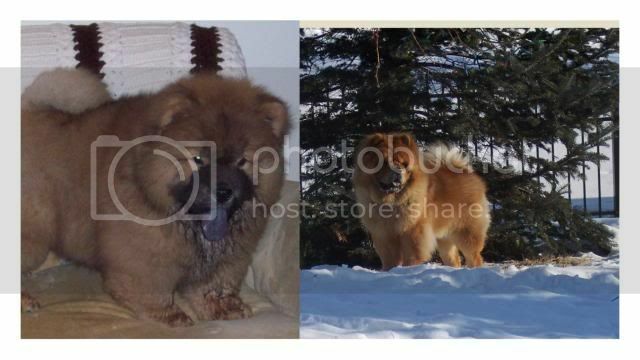 (or if he gets another major before his CH) We have ordered a lot of pictures so far. Ain't the pictures a racket? After paying $30/day per entry you can expect to dish out another $35 for each win photo. A basic tally of what it has cost us "so far" to actively campaign a show dog. $ 300.00 - vet bills; basic check ups and shots. We are extremely blessed to have a healthy puppy. $4,050.00 - gas, lodging, meals for out of town shows. This does not even include food, training treats, and toys and PICTURES! .... and we only have 5 points so far. LOL Cindy, thanks for doing something that I never want to do. My cost are similar, just add the cost of a PDH to that list. Original estimate for that was about $1500, but that went out the window a long time ago. A then I added the 2nd dog who supported entries. No regrets, and getting that AKC Cert was priceless, but it certainly is a venture that will rack up the CC bills. Since we have 2 dogs, we bought a truck to accommodate the 2 crates, considered an RV to alleviate the hotel costs, and are hooked on the experience enough to consider a GCH run for Rory...go figure. We are inching closer.... Currently at 10 points. The remaining 5 points will not be nearly as tough as finding another major. Definitely like those training runs...never hurts if they are close enough. The majors (in my experience) are the tough ones. Even though Rory finished, I attended a show this weekend as an observer (OK, we had a Club meeting). We spent the last two years with minimal male entries and entered Amber to support the female entries and hoped for xover points. I was amazed to see 5 males entered for the weekend show. Sure enough though, there were enough no shows to break the major. Here in NE, we have to plan very carefully to build a major. Chows are not in great numbers. Last weekends show should have been a major for a male dog being handled by one of the top ranked handlers in the country and is co-owned by 2 of the top Chow proponents. A shame really, but just goes to show how difficult it can be without a really strong commitment for the owner community as a whole. Cindy, you have done everything right starting with of course getting Chance. Having 10 points with 1 major after 4 months is great. When Brutus and I were at that point we were just hoping to have another chow entered at each show. After almost a year we had 3 points out of a possible 4. Wasn't even thinking about majors. You also have the support from your breeder which Rory's Dad and I didn't have. Remember to enjoy every minute because it will be over before you know. You know that's a really great post Chuck. I hadn't even thought about posting that aspect of the showing. It really is addictive. From both the competition aspect (from Rory WILL beat that dog, to what was that judge thinking), to really looking for the 'breakout' ring session (we were lucky enough to get it for that final major show). We were more spectators for our dogs and pulling for him rather than handling, so we took on the role of fans. I did notice a difference when I handled Rory as I was more worried about not looking like an idiot (and Rory in typical fashion for him made sure I didn't). But now I look to see what is next. We are considering some GCH shows. Westminster and Chow Nationals are on the event horizon. Perhaps even Eukenuba. We are realistic and don't figure Rory will take any of the big shows, but really, what an opportunity since he is invited. We have pretty much decided not to continue with Amber, as she really doesn't seem to enjoy it. For those that don't show dogs, I know it sounds silly, but Rory does really light up when its 'show time'. Amber likes to travel and all, but isn't about the performing. Since I have both types of dogs, I can see the difference. Rory loves it and really does get excited. He loves his handler and is happy to 'work' for her. We are looking for a 3rd dog that will have a chance to take a national title. Considering space, etc, but are thinking on it. Given that Chows just love to lay down at every entry point and we have to step around them at each door and hallway, its a long thought process, but we really do want to continue with the showing aspect. This is how Chance acts as well. He still has crazy puppy energy and can easily bounce around a bit ADHD... but he is coming along. But, he loves show days. If you get out his show lead he is a completely different dog. He now has 14 points... the elusive second major will be tough. It now looks like people are pulling out of Dallas and we will not be able to attend Uek. this year due to our schedules. We ran into that 'pull' syndrome for over a year. Once people realized Rory was entered, they wouldn't show. I couldn't figure it since they had already entered and spent the money. To get that 2nd major you are going to have to network. Chance may be strong enough to take a show on his own is you search for a specialty show and are willing to travel, but otherwise, build a local show on your own. We finally got that this past year with Tony and by entering Amber to build the females. Rory got crossover pts almost every time out. That makes sure that someone else in your entry 'group' gets points and makes it worthwhile for them too. Rory's 1st year showing was all males, and with his win record they stopped showing against him (except the specials). The strategy had to be to build the female counts and go for crossover pts. There has been a lot of talk lately about building majors with dogs that never have won an event, and I agree that I don't want to win that way. But the pride and the politics enter into it in areas where there just aren't a lot of breed dogs. People don't want to enter and lose. If you only have a base of 10-12 dogs in your area it gets tough. Chance and you seem to have some great support from the breeder. Network with them and other show regs to build the counts. Pretty confident Chance will take those shows, you just got to get their dogs there.